The breathing technique of an ocean predator. For most athletes, movement is indispensable. At the same time, it makes the body sweat. Heat and moisture are produced and in the worst case, remain close to the body. Overheating is imminent. The AirIntake system is effective at preventing overheating. 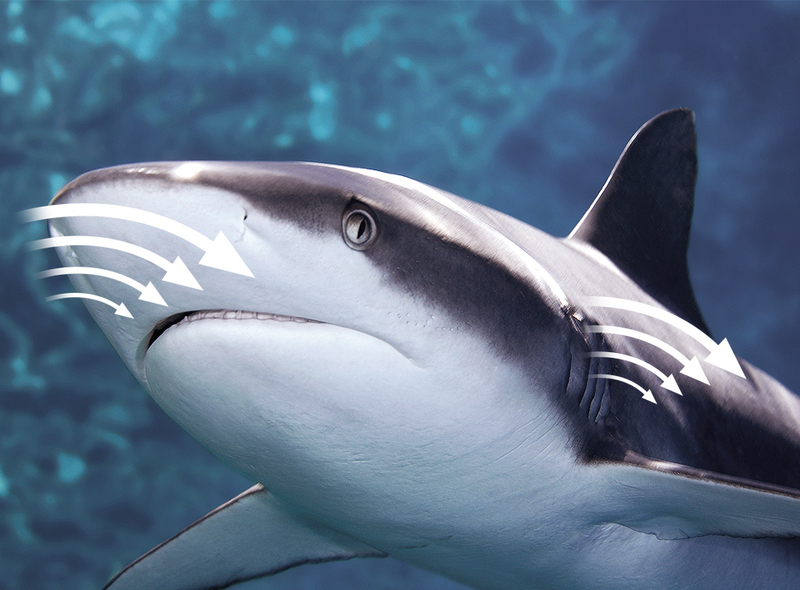 Just like the shark uses movement for breathing, AirIntake uses it to keep fresh air flowing into the gap between the body and the athlete interface. AirIntake is a highly-effective fresh-air valve and in combination with SpaceFrame technology, it stops heat building up on your body. Fresh air flows in through AirIntake. The SpaceFrame structure ensures that there is always space for air to circulate, however competitive the situation and whatever the posture of the athlete. 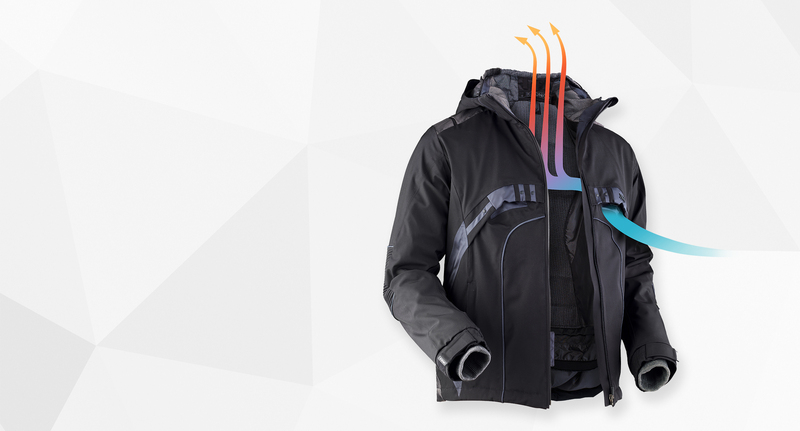 The “diffuser design” on the collar pushes the moist, heated air back out.